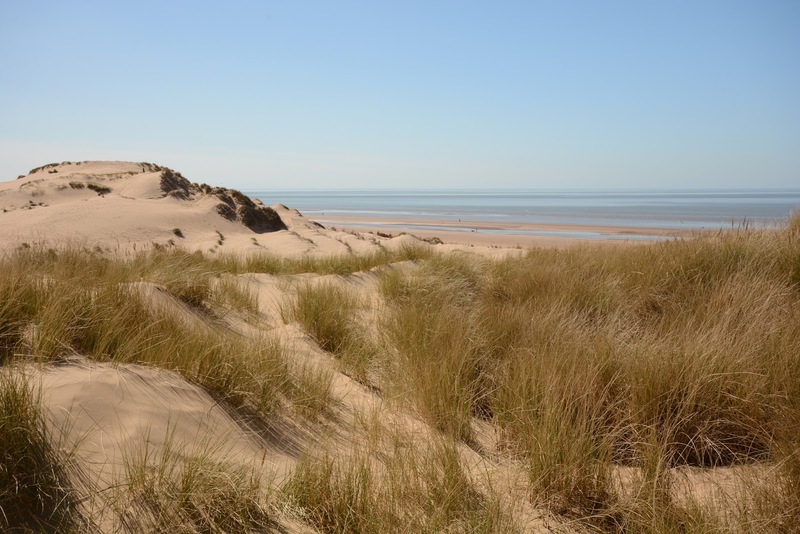 An hour's drive from my local patch towards the coast lies the town of Formby in Merseyside. 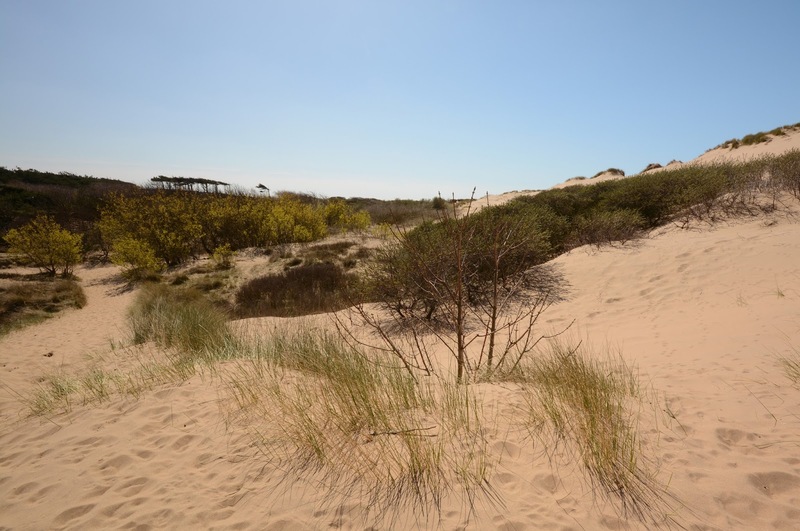 The pine forests and dunes to the west of the town at Formby Point are designated as a 'Site of Special Scientific Interest' (SSSI) because of their importance to wildlife, the area is managed by the National Trust. The main reason for visiting was primarily because this is the closest place to me (so far as I am aware), where you are able to see Red squirrels, these small and endearing mammals having disappeared from Cheshire some 25 years ago. 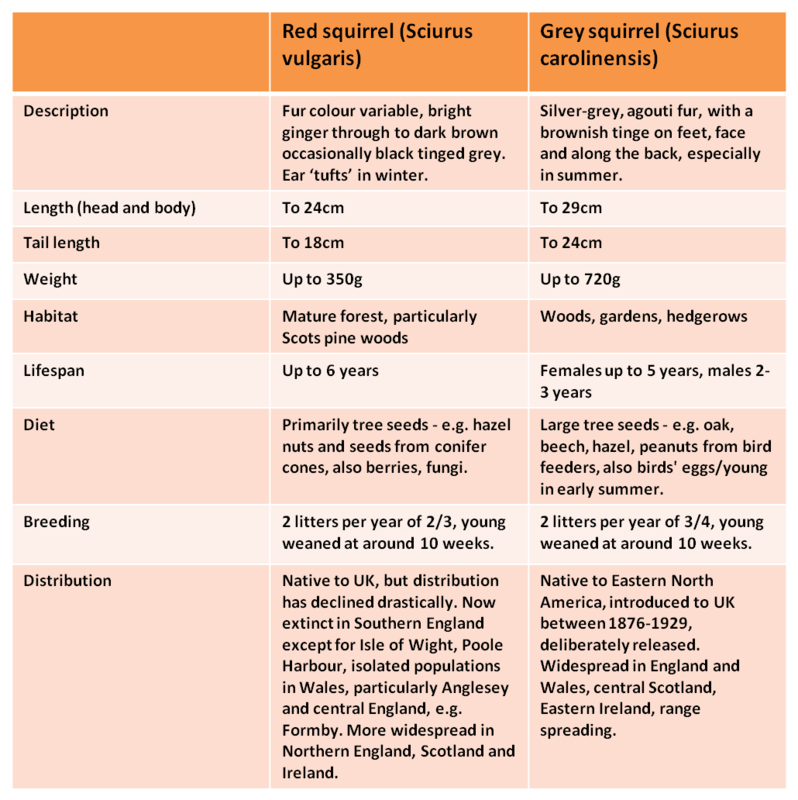 Since the introduction of Grey squirrels (or more correctly Eastern Gray squirrels) to the UK from their native North America, populations of our native Red squirrel have plummeted. This has been due to a combination of factors - the larger greys can eat large quantities of tree seeds, even before they have fully ripened, giving them a competitive advantage and reducing the availability of food for reds. 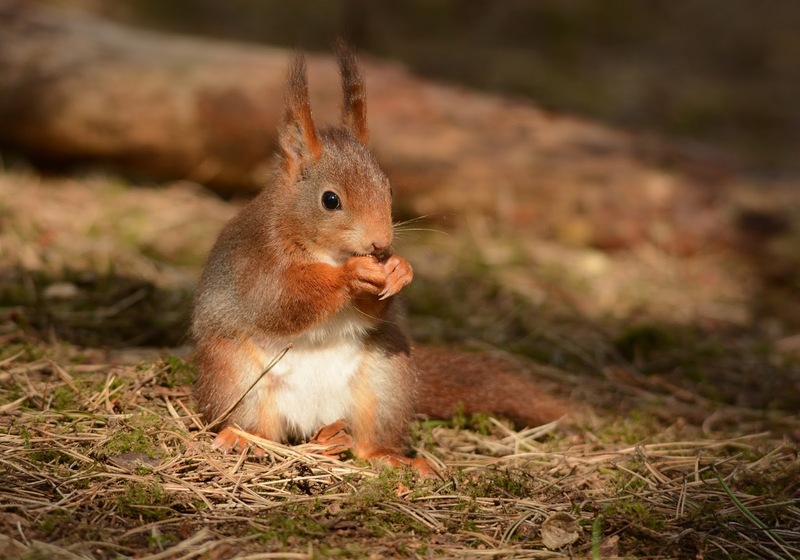 They also have a more omnivorous diet which can include the eggs and young of birds in spring, and they have been known to raid the winter food caches of reds if they find them. 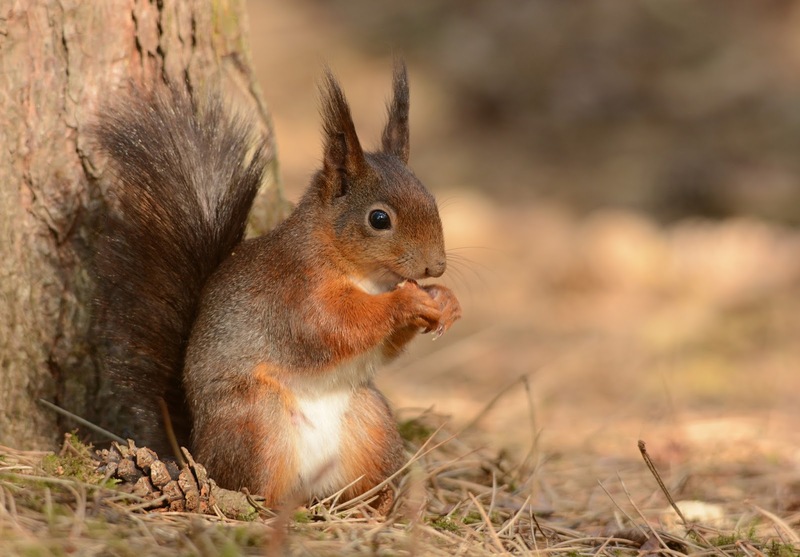 Greys can also harbour and easily spread a pox virus to their smaller cousins which reds have little or no immunity to, and which often proves fatal to them. 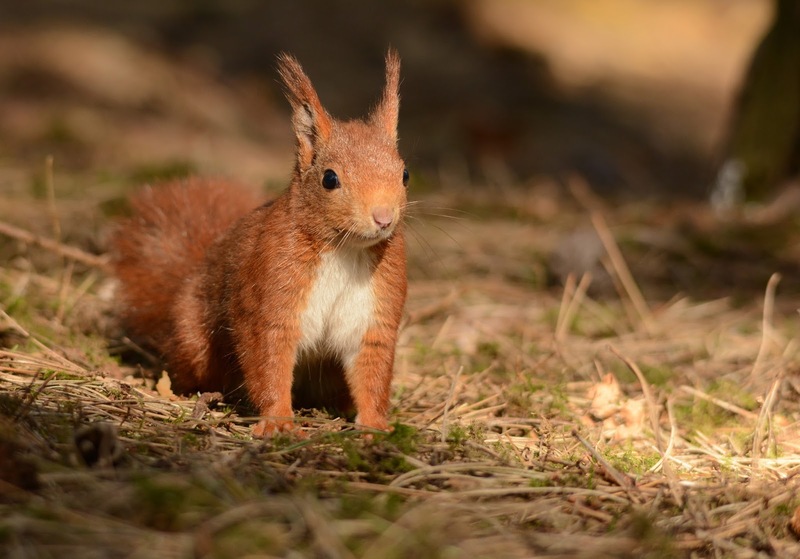 It is estimated that within 15 years of greys arriving in an area inhabited by reds, the latter will disappear. As reviled as greys often are, I am mindful that they are only here because of deliberate releases in the Victorian era. Once seen as fashionable additions to country estates, the first releases of Grey squirrels in the UK are attributed to the Henbury Park estate in Cheshire in 1876. (Another dubious distinction for Cheshire!) Similar such releases continued in estates around the country for more than 50 years following. 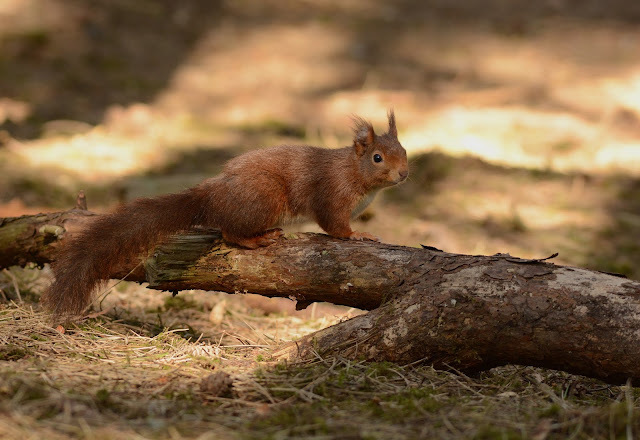 The greys can also hardly be blamed for the wholesale destruction of much of the mature and pine forest habitats to which the reds are best suited. Armed with some shop-bought hazelnuts (which I'd been advised to bring along to tempt the squirrels), on a hastily arranged day off work to make the most of an entire day of sunshine, it was a fairly early start in order to arrive at Formby soon after the car park opened and while the squirrels, being diurnal, were [I hoped] still busy foraging on the ground after their night's fast. I used to have a squirrel 'teddy' just like this! And just for a bit of fun... an animated gif from a 'burst' of images, photo-bombing in the background is one of several ubiquitous Woodpigeons. 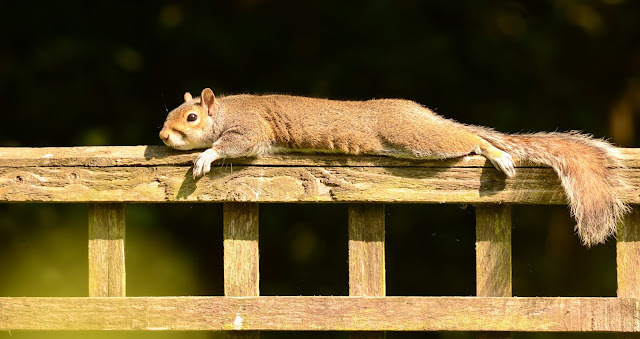 Later in the day it got much busier making spotting the squirrels more tricky as they retreated back into the tree canopy to avoid the noise and particularly, I suspect, the dogs. At this time of year I was informed they are also likely to have young kits in their dreys to attend to so getting there early certainly paid off. The site is also important for Sand lizards which are one of the UK's rarest reptiles. They enjoy basking on the sand dunes preferring to keep close to Marram grass or other vegetation to which they can run for cover. Perhaps early afternoon was too late in the day when I was wandering the dunes in search of these pretty lizards - a local jogger confirmed I was in the right spot for them - but they were nowhere to be seen. 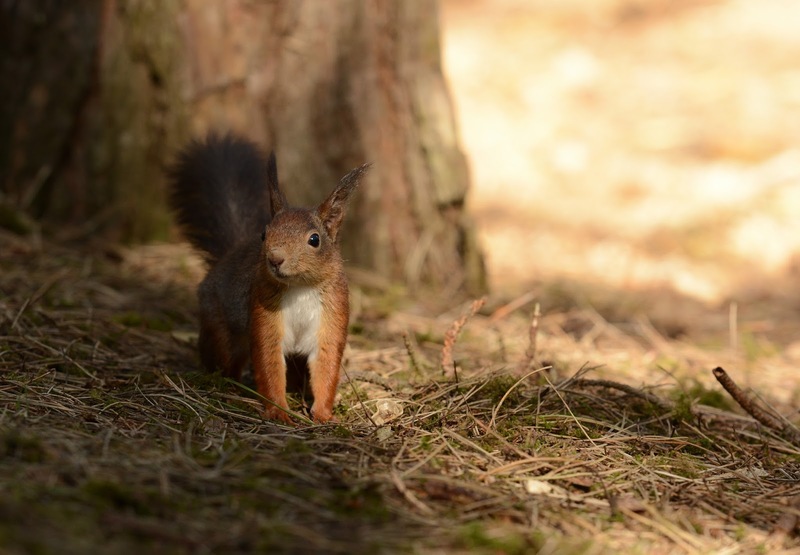 No tracks, nor even the sound of tell-tale scurrying when - as is so often the case - they spot you before you spot them. So with no luck finding the lizards I instead made the most of what was an exceptionally beautiful clear and calm day, taking in the scenery which, with the cloudless blue sky, felt less like the UK, and more like somewhere in the Mediterranean. 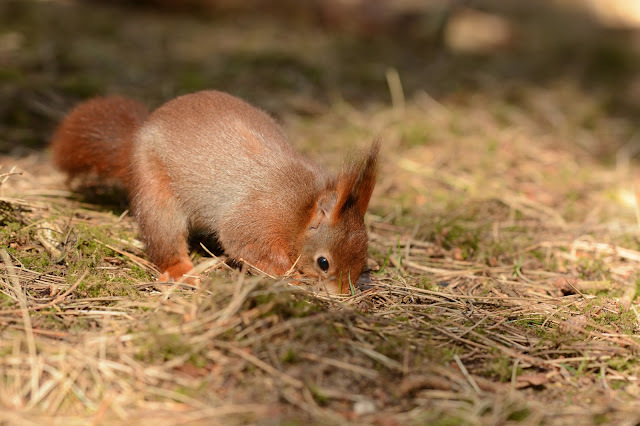 Brilliant Red Squirrel photos and great account Jan. It's great they've returned. 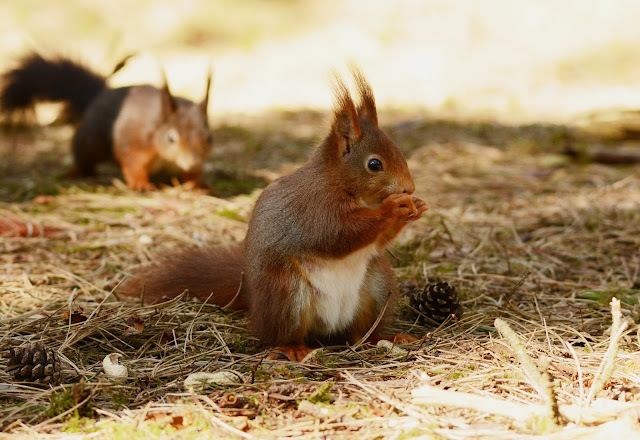 Jackie used to take the children there to see the squirrels. The last time she went there weren't any as they'd all succumbed to disease. I haven't managed to to see a sand lizard either. As I may have mentioned just up the road from Formby is the Ainsdale reserve which is a brilliant place in summer. 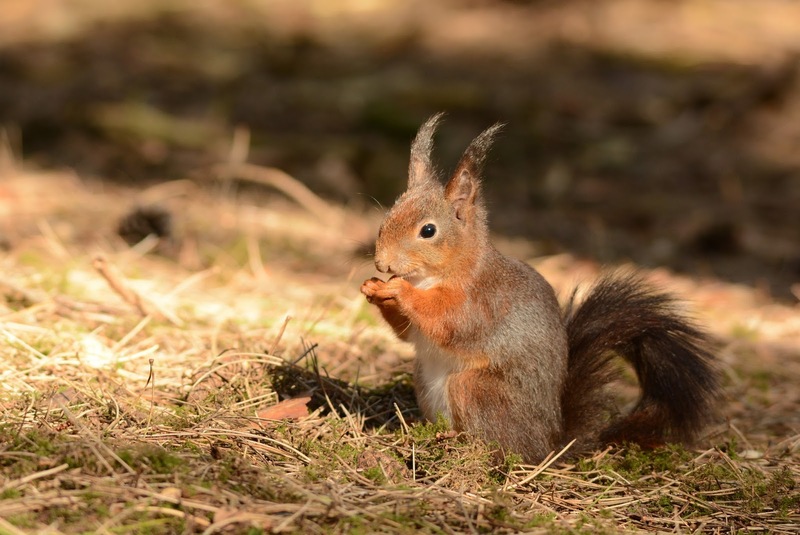 Thanks very much Phil - I'd read that they'd really struggled there a few years ago with pox, so it was really great to see that the squirrels appear to be doing so well again. I'll bear in mind Ainsdale - thanks for the info. I'm hoping to go across again soon and will try to speak with an NT ranger beforehand to check on best times/places/conditions to attempt to spot the sand lizards.